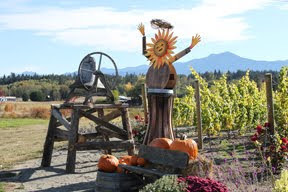 Retired wine barrels from the North Olympic Peninsula's six artisan wineries were donated to the Port Angeles Arts Council (PAAC) early this summer. Volunteer artists transformed the wine barrels into unique one-of-a-kind "art barrels" which are offered for sale using a unique online auction format. The PAAC is hosting the auction to support its mission to nurture the vitality of the arts community and showcase the talent of local artists. The ten local artists who volunteered their time and talent to the project were given free creative rein. Most artists worked in their garages, a.k.a. "Studio G", developing picturesque themes ranging from rustic, barnyard scenes to aquaculture to vineyard panorama using paint, fused glass, paper collage and hand painted silk. The public is invited to visit http://portangelesdowntown.com/ (click on Auction), to view and bid on a series of 10 wine barrels that have been transformed into visual - and functional- works of art. Artists bios and video interview with Donna Cloud. Bids will be accepted until 5 p.m. on Friday, November 6. The winning bids will be announced on Friday, November 6 at the Port Angeles Fine Arts Center during Paul Chasman's One-Man Guitar Festival, which begins at 7:30 p.m. The concert is PAAC's inaugural fundraising event. 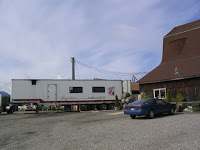 For the last 3 years a volunteer group from the Coast Guard stationed in Port Angeles has been our bottling crew. I recently had to change our November bottling date by a week and received an email back... No Problem. Our Coast Guard Motto is "Semper Gumby" (Always Flexible). Well, I hadn't heard of this before and Googled it. 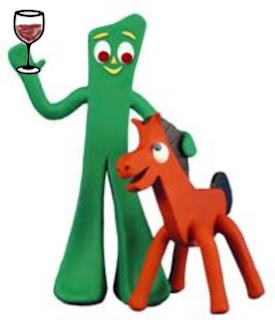 Semper Gumby is the unofficial motto referring to the cartoon character with the official motto "Semper Fidelis", always faithful. 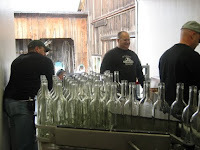 Cheers and a Toast to our bottling crew as they are both faithful and flexible. 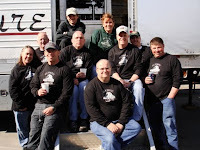 For 3 years they've touched every bottle that has come off our mobile bottling line and stacked thousands of cases. We have a volunteer program called 2xSuccess. 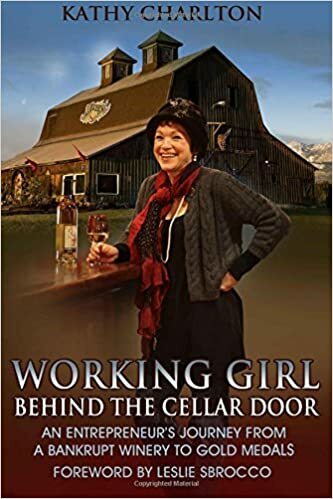 For every hour volunteered at the winery you earn 1 bottle of Working Girl Wines. The "earned wine" goes on the books until the volunteer organization has a fundraiser. The Coast Guard uses their funds to help CG families in need. 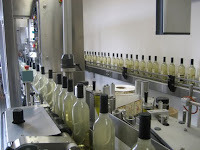 Each crew member also receives a "love box" of a bottle of each wine that comes off the line. They are first to taste our newest wines and vintages. Bottling is scheduled for Tuesday November 10. Here's some prior year photos.